As the British artists Gilbert & George mark 50 years together this year, the pair are looking to the future and their legacy. The septuagenarians are converting a 6,000 sq. ft former brewery off Brick Lane in east London into a foundation to show their work and, if funds stretch far enough, pieces by other artists. The space, which they bought for £5m, is due to open in two years’ time. 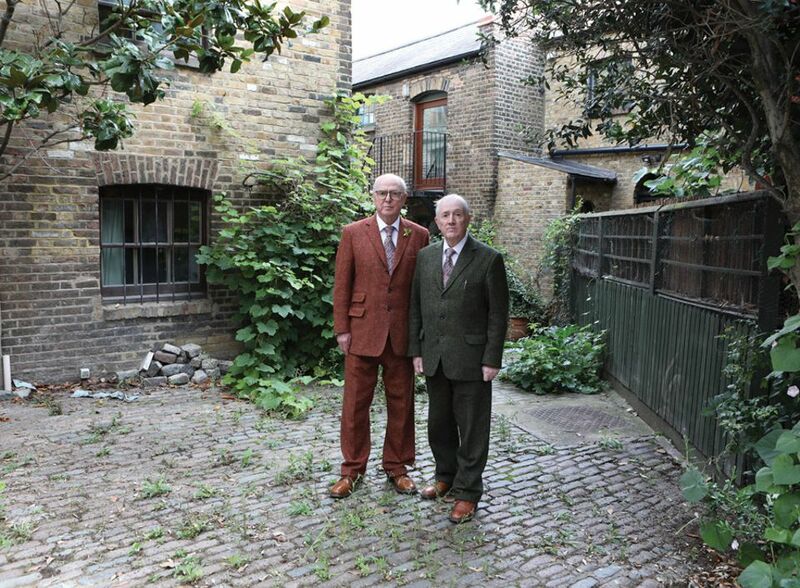 The foundation will be a registered charity, which Gilbert & George will support financially. The building will include a small caretaker’s flat, an office, storage space and three galleries to display their work, much of which is in storage. “We’re realising that big museums don’t show your work that often,” they say. “This way, we can host large-scale shows and rotate them every six months to a year.” They are designing the small walled front garden, including the wrought-iron gates bearing their initials that will be installed at the entrance. “We want it to be like [the novel] The Secret Garden. Everyone has a secret garden; think of the Garden of Eden,” they say. The artists’ collection of their own works consists mainly of the “rejections”, as they describe them—“all the pieces people are not quite ready for”. It is a collecting technique they share with the art impresario Michael Sonnabend, husband of the dealer Ileana, who was an early supporter of Gilbert & George.